Whatever you think about Brexit - or even if you try not to think about it at all - we can probably all agree on one thing. It has gone on for a long, long time. We're more than 1,000 days on from when the UK voted to leave the European Union and it seems politicians are only just starting to enter the endgame. Maybe. The UK and the EU have now agreed on an extension to Brexit until 31 October, here are five things that don't - or didn't - last as long as Brexit. Before it rose to international fame as the home of the backstop, Northern Ireland was legendary for many reasons. Among them, the construction of the Titanic. The mighty liner was built in Belfast - the keel was laid in 1909 and the ship launched just 26 months later - that's about 790 days. 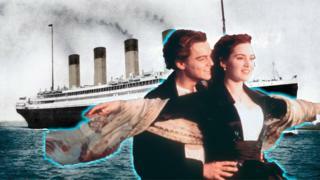 The Titanic hit an iceberg and sank in 1912. Similarly frozen and bigger than it appeared at first sight: the question of what happens to the Irish border in the future. The frontier between Northern Ireland and the Republic will become the only land crossing between the UK and the EU - so there's huge controversy about what customs arrangements could be put in place. That, simply put, is the issue that's been stopping Theresa May's deal sailing through Parliament. Distant, lonely, red. Thirty-five million miles away from the House of Commons. Sounds idyllic, doesn't it? When Mars and Earth are closest together, it should take around 300 days to fly between them. So since the referendum in 2016, you'd have had time to get there, harvest an entire crop of potatoes like Matt Damon and bring them home to make Mars mash for your friends. And here's something that sounds like a distant planet but isn't: MV3. That stands for Meaningful Vote 3: Theresa May's planned third attempt to get MPs to back her deal. She's promised that if they do, she'll go. Not to Mars, just out of her job as prime minister. And Brexit has packed in enough plot twists and backstabbing in the same timescale to make Lord Baelish look like a rank amateur. Allegiances have shifted, people have been double-crossed and deep-seated loyalties have been tested. Who will be sitting on the Iron Throne - and in 10 Downing Street - when the dust settles? Only one thing is certain: both battles are going to be messy. So countless hamsters have lived out their entire lives knowing nothing but endless Brexit negotiations. Just think of that. Fun fact: hamsters are immigrants. They were native to Syria and Turkey before being bred domestically. They've been with us a while now though, so like EU citizens already living here they should be fine to stay after Brexit. Image caption Who doesn't love Brexit in the springtime? How long does it take to build a proud, majestic symbol of national identity? Well, if you're French, around two years (a little more than 700 days). The Eiffel Tower was erected between 1887 and 1889. The tower was supposed to be dismantled after 20 years, but of course that never happened. Because, as Theresa May has discovered, plans can change. Especially where Europe is concerned. Follow Newsbeat on Instagram, Facebook, Twitterand YouTube. 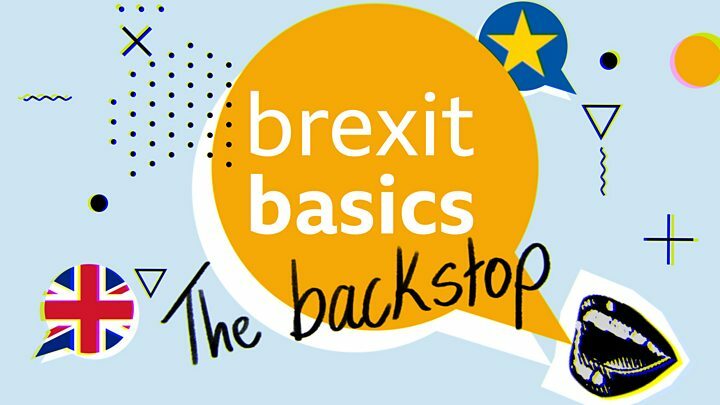 Video Brexit, the Irish border, backstop - does anyone really understand? John Bercow: What's the role of a Speaker in Parliament? Video Brexit: What is the customs union?